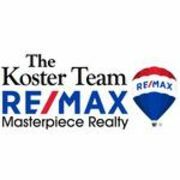 Rate and review The Koster Team | RE/MAX Masterpiece Realty in Port Saint Lucie, FL, United States! Share your experiences at The Koster Team | RE/MAX Masterpiece Realty with your friends or discover more Real Estate and Apartments in Port Saint Lucie, FL, United States. Versatile Improvements & Remodeling, Inc.